This is epic! So colourful, so creative, so OnePiece! This is Freya (although not quite sure which one is her!) and her OnePiece friends. Excellent picture all zipped up, out in the park! Love the way they are all holding hands in case they think everyone else is gonna run off and leave them there! They did well to all get off the ground together – wonder how many takes they did! 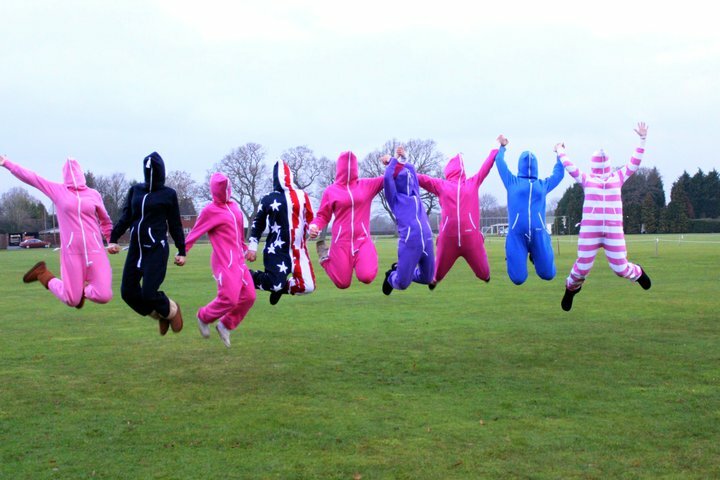 Get your OnePiece friends together for a photoshoot like this and send the pictures into us here at TheOnePieceBlog. The more colourful, the better! OnePiece is about feeling good, so take a feel good picture today! Next postA toast for the Royal Blue OnePiece!